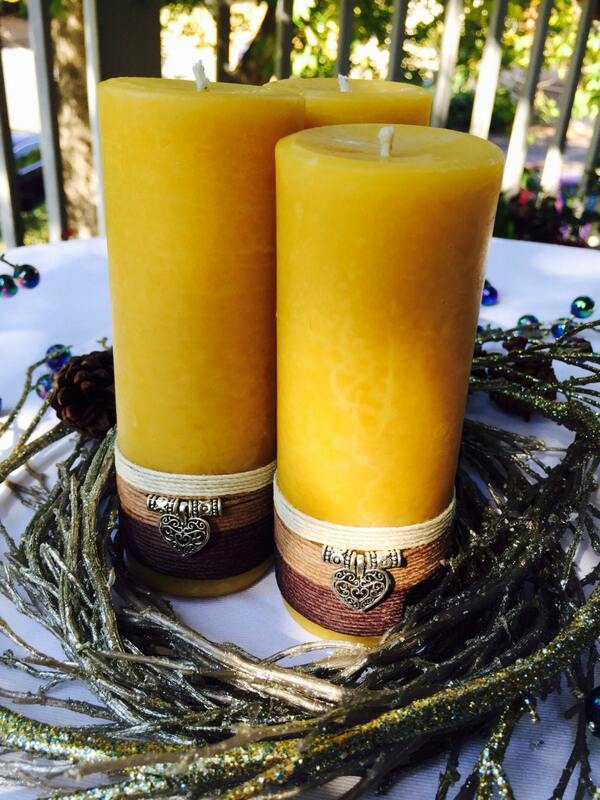 This gift set of 3 pure beeswax Pillar candles are handmade and uniquely designed with all natural hemp cord in 3 colors and charmed with 2 silver tone prayer wheels and 1 heart charm. 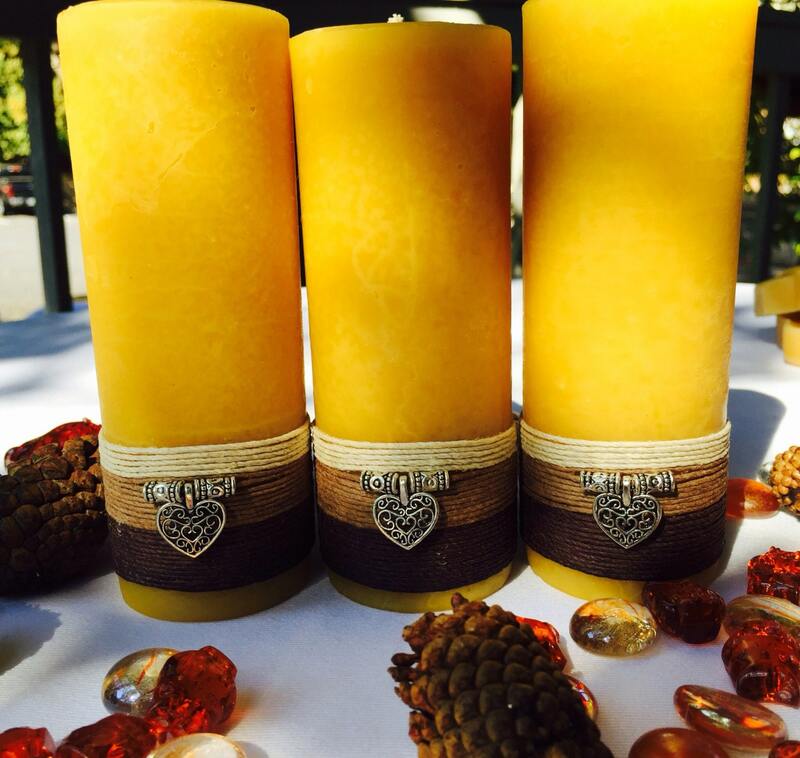 These beautiful pure beeswax candles are unscented and long-burning. They are approx 3" or 5" in height and 2" in diameter. They make a perfect gift. 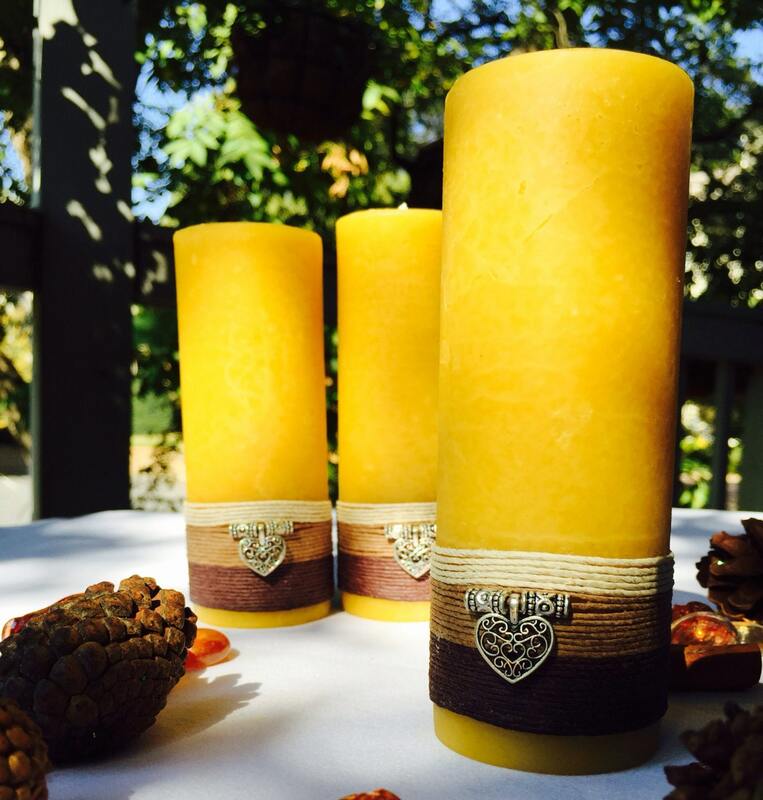 My organic Beeswax Candles are pure, natural, and environmentally friendly. 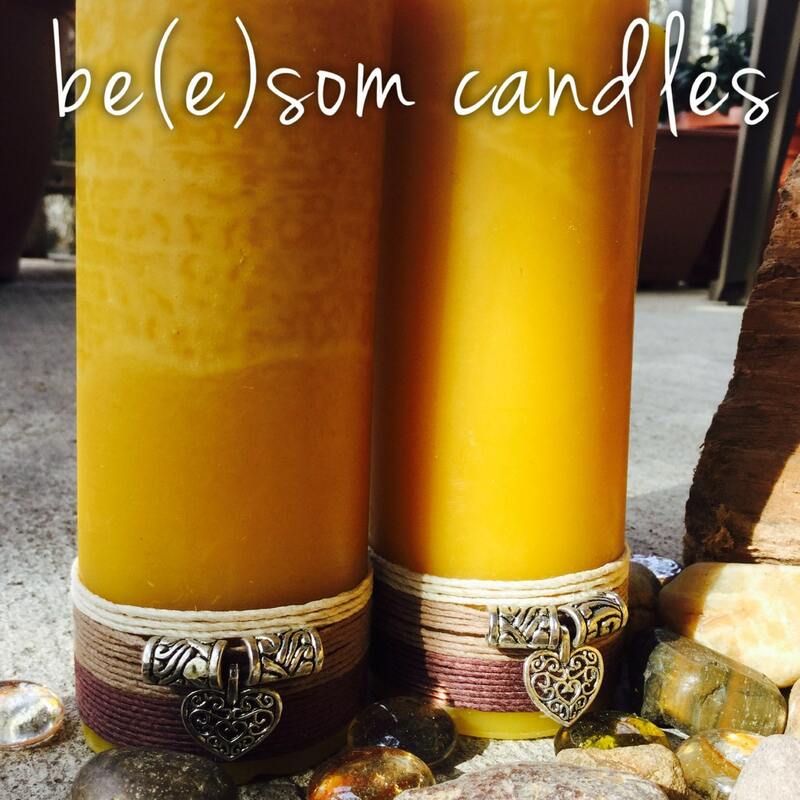 The ambience you seek will be enhanced by the soft amber glow and naturally mild honey scent. 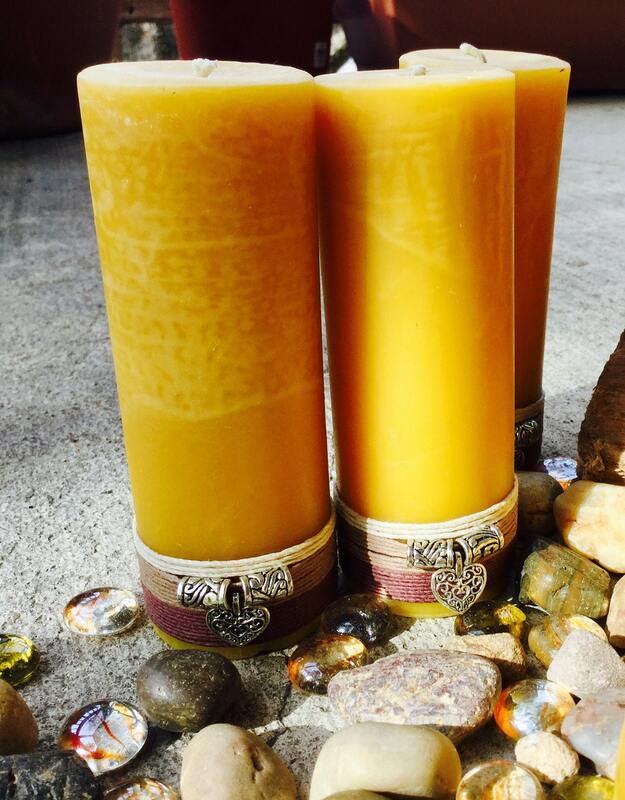 Never burn candles for more than 2-3 hrs at a time. Always place candle on fireproof surface. Never leave a burning candle unattended. I'm so glad I made this purchase. They're wonderful! Candles arrived quickly and were nicely packaged. Happy customer. These were absolutely gorgeous and (beautifully packaged if you are looking for a nice gift!) Didn't quite fit the holder I had in mind, but the seller communication was great and made the return process very easy - outstanding customer service - Thank you!